This is the Marrakesh Train Station. Actually, it could be any one of several of the major train stations in Morocco. They all seem to look alike from the front. It seems that they must have redone the image of the stations at some time in the past few years. 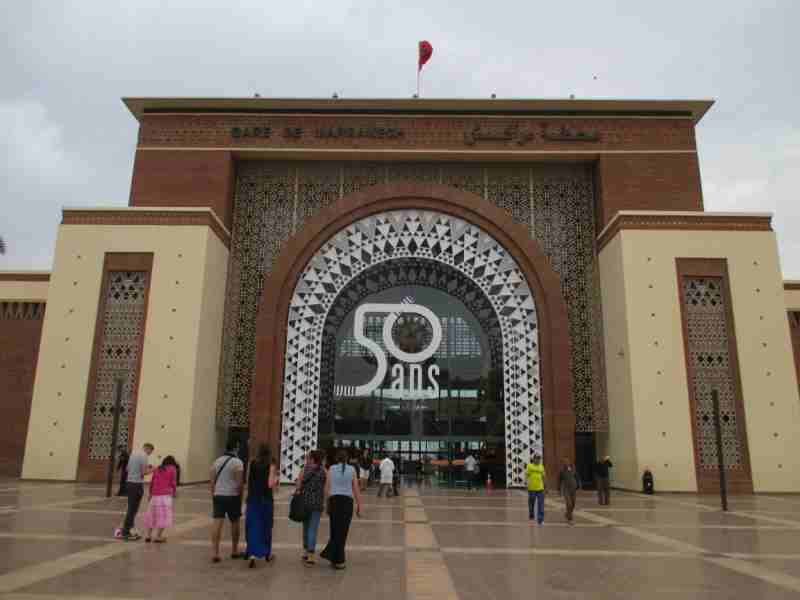 All of the stations that I saw tended to look very modern now both on the inside and the outside with the exception of the Casablanca station. I’m sure it will be done sometime in the near future and have the same facade and internal likeness of the other major stations I saw. From what I gathered tourism is big money in Morocco and most tourists travel by train because of the cost and the convenience.